Yes, you read that right! I was a bit of a reading fool hermit apparently because I also read 11 eBooks! I have a feeling June will be similar, but not as bad because I had a lot of things to get done on my list and since reading was one of them I chose to do that fun part before all of the other "work" on my list, lol. I do have at least five books to read before Book Bash, so we shall see! As always, you can click on the pictures to be taken to order them on Amazon, as well as clicking on their title. I hope this helps you find your next favorite book! The Sea of Tranquility by Katja Millay is a book that I borrowed from a friend this year. She read it before we went to Book Bash last year, but since we were cram reading, I never got to read it before last June. This year, when she actually purcahsed the book and re-read it (it is that good) she told me I needed to read it. So, I put aside my reservations that a lot of the first part of the book involves a mute main character, which didn't end up bothering me in the end, and absolutely loved it! FIVE stars for me! The Vincent Boys by Abbi Glines (The Vincent Boys #1) This is one of the series I knew Abbi had written, and just not gotten around to reading. Well, one or both of these was on Sale at BAM so I picked them up in preparation of Book Bash and they caught my attention much like all of her other books. I will say though, that it didn't top Rush for me. You'll read more about him below. Synopsis: Ashton is getting tired of being good, of impressing her parents and playing ideal girlfriend to Sawyer Vincent. Sawyer is perfect, a regular Prince Charming, but when he leaves town for the summer, it’s his cousin Beau who catches Ashton’s eye. Beau is the sexiest guy she’s ever seen, and even though he’s dangerous, Ashton is drawn to him. The Vincent Brothers by Abbi Glines (The Vincent Boys #2) Of the TWO Vincent books out right now, this one was my favorite. Hello, FIVE stars! Yes, I loved bad boy Beau but Sawyer really got to me! Synopsis: Getting a boy to fall head-over-heels in love with you isn’t easy. Especially when he’s been in love with your cousin for as long as you can remember. Twisted Perfection by Abbi Glines (Perfection #1) is part of the "Too Far" Series, but is the story of Woods, the wonderful Country Club heir and I really didn't know it existed until this year. So I definitely needed to get caught up with the story, lol. The others in the Rosemary Beach series were digital books. Collide by Gail McHugh is a book I've been waiting MONTHS to read. You can read more about it here, but the basic reason behind my 4 stars was that there was too much build up before their relationship actually started when they had an immediate connection and I felt like Emily should have opened her eyes a lot sooner. Inked Armor by Helena Hunting is another one from my fandom days and it's the follow up to Clipped Wings which tells the story of Hayden and Tenley's tumultuous relationship that I loved reading about. Synopsis: In this follow-up to Clipped Wings, the emotional love story continues between Hayden and Tenley; two young people who desperately want to love and be loved but are afraid to completely let go of their pasts. Bared to You by Sylvia Day (Crossfire #1) Since I've been seeing these books on the shelf for over a year and her line was hella long at Book Bash last year AND I found book two for a steal at BAM, I decided to try the Crossfire Series by Sylvia Day. I was absolutely blown away because a lot of people, too many really, had compared them to Fifty Shades and while there certainly are elements that could make them similar I loved these so much more. The only part I recall not liking was that the mention of Dom/Sub roles seemed to come out of left field for me. However, I will say that after reading through I could see why it was brought up, but that there was probably a better way to transition that part in. 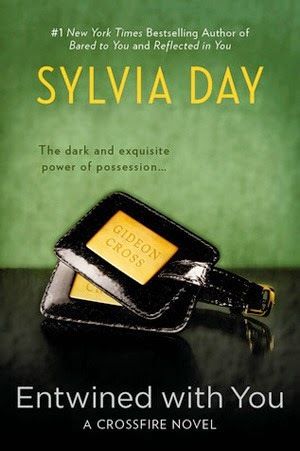 Reflected in You by Sylvia Day (Crossfire #2) After the mention of Dom/Sub in the first book I really had no idea what to expect, but the introductions of more things from their past really helped propel this book along and right into the third book. I actually didn't rate this one, I wasn't keeping Goodreads up to speed with how I was reading so it wasn't an automatic rating. I want to re-read the series when the other books come out so I will give it a rating then. Entwined with You by Sylvia Day (Crossfire #3) I was very disappointed to learn that what I (and everyone else) thought of as a Trilogy had been given two more books. Well, last Summer we were told there would be a fourth and yet we've not had a release date and the article I saw was from LAST June! I really hope the next two come out before next Summer because I really liked Gideon! Of course I'm excited for more, but not having even a guess at a release date makes me doubt this series will ever be finished. I'm still recommending it, but wanted to let you know ahead of time. There is no huge cliffhanger to keep you from reading what is published. Synopsis: From the moment I first met Gideon Cross, I recognized something in him that I needed. Something I couldn’t resist. I saw the dangerous and damaged soul inside–so much like my own. I was drawn to it. I needed him as surely as I needed my heart to beat. I really love a billionaire, controlling lead male in my romance books, but in real life I just don't see that happening for me. I need way too much ME time than these girls seem to get. Then again, never say never. Since I'm gearing up for Book Bash, my Real Book reading has sky rocketed since most of the authors I'm reading will be signing at Book Bash. I'll be giving plenty of books away from Book Bash as well so if you have any requests and the author will be there, please let me know! What real books did you read this month? I sadly had been reading a lot of eBooks lately. I need to get back into reading real books too. The summer will help with that though. The inked series seems good though the teasers did nothing for me. Will have to try the full length ones. 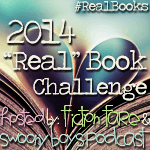 i read a mix of ebooks, audio books and real books. i have a list a mile long, including some of these lol.